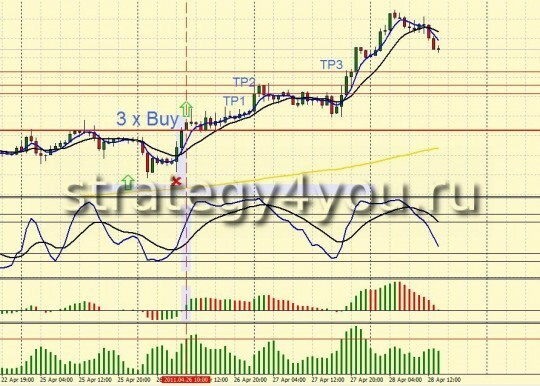 Forex Strategy Forex Smart — 2 — indicator forex strategy that works well on the currency pair EUR / USD at an interval of H4, but since the deal did not happen so often, you can sell, and at intervals M15 and H1, sent this forex strategy was Pastukhov Sergei — this is the version of the strategy, which he transformed from forex strategy Forex Smart by himself and decided to share it with the users of this site. 1. Moving average LWMA with 5, Linear Weighted Moving Average, apply to: Typical Price — HLC / 3 — choose the color blue. 2. LWMA moving average with period 14, Linear Weighted Moving Average, apply to: Typical Price — HLC / 3 — choose the color black. 4. Indicator Stochastic Oscillator,% K: 12,% D: 12, delay: 5, apply to: Close, Exponential, as it is necessary to fix minimum: 0 maximum: 100, to establish additional levels of indicator: 20, 30, 70, 80. 5. Indicator MACD — Fast EMA: 5, Slow EMA: 14, MACD SMA: 5, should apply to: Weighted Close (HLCC / 4). 6. Indicator Avarage True Rance with 5 — ATR (5). 1) First of all, pay attention to the moving average EMA (233), if the price is above it — are considering a deal just to buy. 2) Then wait for the main signal from the intersection of the 2 moving averages: LWMA (5) crosses LWMA (14) from the bottom up — conclude a deal to buy without that signal trading positions do not open and are not considered! 3) Next, pay attention to the confirmation signal from the indicator MACD, its histogram (bars) must cross its zero level from the bottom up! 4) Check that the price at the time of the transaction is above the EMA (233) than the distance of 3 ATR! 5) Do not buy if the slow Stochastic> 80, is in the overbought zone. 6) If all conditions are satisfied, then conclude the transaction for the purchase of three equal lots, for example 1lot + + 1lot 1lot. 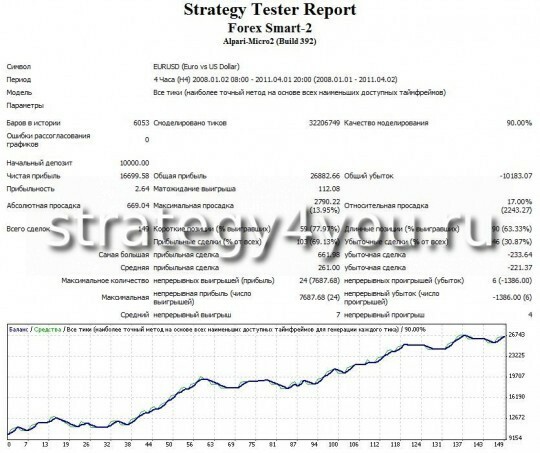 But it certainly did not forget to use their forex trading, the rules of Money Management! 7) Install the Take-profit at a distance: 80 points, 100 points, 130 points, respectively, for each open deal. If you open only one bargain, then it can continue to shut down in parts. 8 ) If the purchase — fast Stochastic was> 80, and then dropped below 70, then close all open trading positions. 10) After closing of the first order, stop-loss swapped at half the original value of fixed stop-loss or a 1.5 ATR. If you prefer, you can use a universal trailing stop. Indicator is in the standard indicators of terminal Metatrader 4 — -> Oscillators -> Avarage True Rance, setting this indicator is only one — the period of ATR. This indicator takes a value of zero or above, although zero almost never happens. Use it, we will calculate the value of items for stop-loss. Here we assume now EURUSD hour period it is set after the closing hour candles — 0.0026, so this number is multiplied by 3 and obtain 0.0078 and see if the price is more than 78 points from the moving average EMA (233), it opens to buy as well and look forward to the stop-loss if open up to let’s say at the moment the stop-loss, and the value we place on 78 points. For transactions to sell use the opposite rule! These templates are suitable for any MT4 broker forex (5-digit, type ALPARI, 4-digit, type FOREX4YOU), but they must first unzip, just as attached below forex indicators. See here: How to install the template in MetaTrader 4?